In case you haven’t noticed, former NBA star Ray Allen’s wife, Shannon Walker Williams is a stunner! Chasing success from a young age, she’s made an album with the girl group Shades, she’s tested out her acting skills, and she’s even become an entrepreneur! She loves kids and opened a healthy fast food restaurant in Florida with ambitious plans to make it a real money-spinner. She is always bursting with ideas about how to create value in the world. We’ve got all you need to know about her, right here! Anybody who has seen Shannon Walker Williams’ pics cannot help but notice how beautiful she is. And the lucky man on her arm is retired NBA superstar, Ray Allen. He was one of the most accurate three-point and free throw shooters in NBA history. A 10-time NBA All-Star, he won two NBA championships in 2008 and 2013 with the Boston Celtics and Miami Heat, respectively. 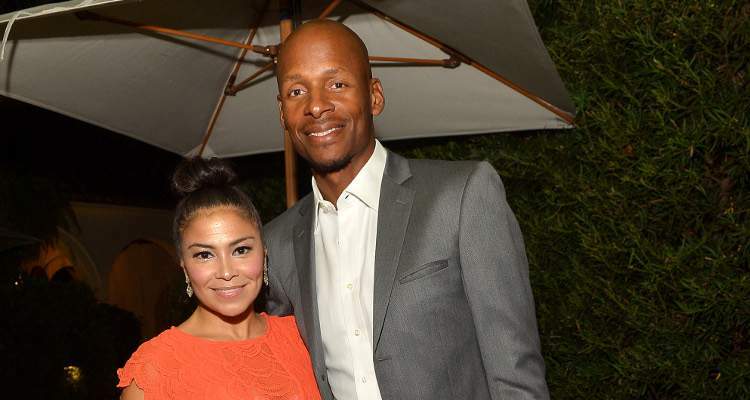 Ray Allen and Shannon Walker Williams got married on August 16, 2008, after dating for four years. People want to know more about Ray Allen’s wife, so we have some details from Shannon Walker Williams’ wiki. Born on November 15, 1974, Shannon Walker Williams’ age is 43. She studied at Northeastern University and is an actress and singer. She was once a founding member of the all-female R&B group known as Shades, which was signed to Motown Records. The group was formed when Williams and the other three members were in college. They released their self-titled and only album in 1997, which produced hit singles like “Tell Me (I’ll Be Around)” and “Serenade.” Unfortunately, the group could not stay as a single unit for long and split up later that year. Williams formed Life After Basketball with Allen, and made a documentary about an orphanage for blind children in China. She reportedly has one child from a previous relationship, and four children with Allen: Walter Ray III, Walker, Wynn, and Wynstan Ryan. Allen has a daughter, Tierra, with his ex, Rosalind Ramsey. Happy Happy Birthday to my first Princess Shannon Walker Allen @swalkerwil. May God continue to bless you each and every day. I am so very proud of the woman and mother you are. Compassionate, loving, brilliant, visionary and beautiful. Have an amazing day our Shannie. Mommy loves you very much. @rae_24 @krisy_rae @rayn34 @msjwill @bcoop??⭐️???? There is no information about Shannon Walker Williams’ Instagram account, so finding her pics is a bit difficult. She is a very smart woman and hates having nothing to do. In 2008, she came up with the idea of making a sports-related cooking show called Pre Game Meal, which aired on CSN in Boston. With her sharp brain and business minset, Williams is all set to grow her business and raise the stakes. And with a supportive husband by her side and the support of her healthy kids, Williams is in her element right now.